Most people training MMA train their striking and grappling disciplines in bare, but there are times when boxing/wrestling shoes are extremely useful and can improve your footwork, power, mobility and agility. 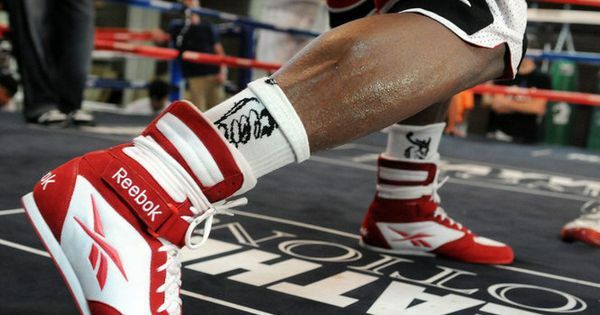 A good pair of boxing shoes can transform how you move in the ring or on the mat and this list includes some of the best you can buy on the market right now. These low ankle shoes come in a leather finish with a breathable nylon mesh along the sides and top-front. The mesh enables to shoes to ‘breath’ better and the leather finish combined with the non-slip sole provides an excellent grip for pivoting and balancing. The low-top ankle design allows for the most amount of movement whilst still protecting the ankle more than regular trainers/non-boxing shoes. The shoes are quite stylised and come in a variety of colours for the more fashion conscious practitioner. The price is reasonable too, but varies slightly depending on what size you are. The shoe features the brand logo on the side and a separate one on the tongue of the shoe. However, this is not a feature which stands out particularly and the shoe overall has a plain and minimalist look, especially in the all black. These shoes seem to focus on mobility also, with the low-top ankle support and synthetic suede leather overlays adding to the svelte design. The shoes are described as being lightweight but durable and they have a mesh side too for breath-ability. The shoes have a full-length out-sole for improved grip and excellent floor contact. Again, the shoes focus on mobility so the sole does not come up around the front of the shoe, it remains only on the underside. This combination is ideal for having great traction and pivoting potential whilst giving the wearer a feeling of freedom when moving. The shoes have a ‘basic’ Adidas look to them, with the classic three stripes in whatever colour you choose. The orange/grey and red/blue versions have a little bit more variety to them with matching laces/stripes. The ASICS Matflex shoe has been designed exclusively as a wrestling shoe and as such, the design itself has focused more on getting the most out a wrestlers skill set. The shoe is made of a synthetic textile material with mesh sides for breath-ability and a rubber sole for extra grip. The sole comes up around the sides of the shoes for grip when driving in for a takedown. The shoes focus specifically on actions such as this rather than for someone who will be pivoting and bouncing around a a lot. The shoes themselves only come in one colour and have a plain, two tone look to them in black and white. The well-known logo emblazons the side of the shoe and stands out quite considerably against the shoe’s black mesh. These are the first mid-top shoes on this list and as such they provide more ankle support than the previous shoes. However, this extra support does come with a cost and that cost is in mobility and agility. Some people prefer the extra support as ankles can be easily damaged with all the jumping, turning and pivoting that takes place during training. These shoes are made of a fully synthetic leather with a tight weave nylon fill and the laces come all the way up to the top of the ankle support and can be tied around at the top for a very snug fit. The shoes are extremely light and have clearly been designed for those who want agility whilst keeping the ankles extra protected. The appearance of the shoes is quite simple in terms of design. They have the company logo on the side near the top of the ankle support and the company name on the very heel of the shoe. The shoe does come in a variety of colours, some much brighter than others. The price is quite reasonable also and the shoe doesn’t cost much more than the previous shoes even though more material is required for the extra height. The final shoes on this list are a high-cut design for the maximum amount of ankle support. The shoe comes with an ankle strap too for extra tightness and stability at the top of the ankle. To maximise mobility and agility with a high-cut shoe, extra mesh has been added all along the ankle support for breath-ability and a feeling of freedom whilst moving. The shoes are described as ‘like wearing a padded sock’ and this is an apt description due to the synthetic leather body and liberal use of mesh along the sides and front of the shoe. The laces are extra long to provide the user with ability to have the shoe extremely tight or a little looser depending on personal preferences. The show comes in a stylish silver and black combination, the synthetic leather body being silver and the mesh panels being black. The reebok logo is emblazoned on the side of the mesh in red and stands out quite nicely in the overall design. Overall, when looking for a good boxing/wrestling shoe, it is best to look for something which will provide grip, good sole construction, good ankle support, good weight, ideal comfort and width and good quality materials. 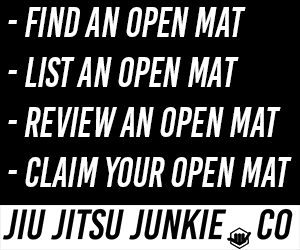 Of course, all the shoes on this list tick these boxes to varying degrees and it all comes down to how you want to feel when training in the shoes you choose.